In 1999, B&G Services, LLC. started out of a business idea of Robert Lueders, stepfather of Greg Jeffries. Mr. Leuders was a talented master technician and taught his son Greg his trade. When Greg got old enough he worked for other companies but always found time to assist his Dad at B&G Services. When his Dad grew ill in 2013, Greg was able to leave his current employment and rejoin the family business full time. Greg re-branded the service center as GJeffries Services and worked under this name for 5 years. In honor of his Dad, after his passing, Greg returned to the original name of the service center and B&G Services was back in business. B&G Services has always focused on these two core values: Integrity and Fairness for every customer. We stand behind our work and will be honest if the job is beyond our scope. We never overcharge for a job but price our work fairly based on the services provided. We are also very proud of our socially responsible environmental practices. We recycle oil and antifreeze. 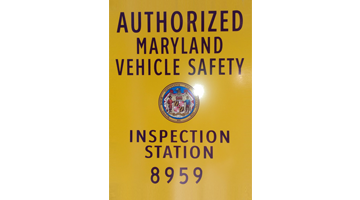 Our vision: Be the largest and most trusted truck repair service centers in Anne Arundel, Howard, and Prince George’s counties. Thank you for choosing B&G Services where “we keep your wheels turning”!